Shop, Eat and Drink Local This Fourth! I've been saying it for a hot minute about Jackson, and particularly about creatives, professionals and local business interests in Jackson—we need to get organized. 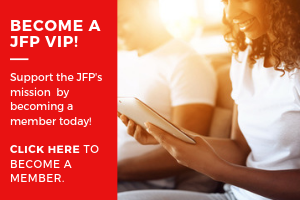 With the mayoral primary just a few weeks away, we've been discussing our JFP endorsement possibilities; we haven't yet chosen a candidate, but we've been talking about the criteria. There's a word for what Jackson has developed for certain industries, especially food, medical-technology, nonprofit and government work, even law—it's an "ecosystem." Some exciting things are happening in technology and entrepreneurship in Jackson this year. With the legislative season coming to a close, those of us who spend a lot of time championing progress for Jackson and Mississippi have had a tough go of it. Gov. Phil Bryant's decision is wrong. It's bad for people, and it's bad for business. Cutting franchise taxes is a major priority of ALEC, the ultra-conservative anti-taxation group to which so many conservative legislators swear fealty. Is the 'Airport Takeover' All About ... A Road? What If We Could Fill Potholes ... With Jobs? Are potholes the worst problem we face in Jackson? No. But they represent a pretty big problem for more than one reason. Vote with your dollars and your nomination to support local businesses this holiday season. Do the Anti-42 Politicians Feel No Shame? Do you ever wake up in the morning and wonder why Mississippi's Republican Leadership seems to hate democracy so much? What Jackson needs, perhaps more than anything else, is more taxpaying people to help shoulder the burden and work on solutions. There's significant opportunity for Jackson to be a hub of creativity and productivity by connecting some important dots. You hold in your hands (or you're viewing online) the culmination of many months' worth of planning and effort—the 2015 Best of Jackson issue. We can work together—even through our shopping and end-of-year purchases—to create a prosperous new year for Jackson. People who have authority over you can tell you what to do; people who offer leadership make you want to follow them, and they tend to make you feel safe. One of the basic problems that we have in this country is the structure of the modern corporation—particularly large, multi-national corporations. Local businesses help us build and keep wealth in our community. Every time we choose a local business, we’re making a choice to help enrich our local area. AFA Bearing False Witness Against Businesses? This past week, the American Family Association put out an "action item" that accuses the "We Don't Discriminate" campaign of being ... discriminatory. This week, soon after we ship this issue to the printer, we're packing up our office and moving to downtown Jackson—our first move in almost a decade.